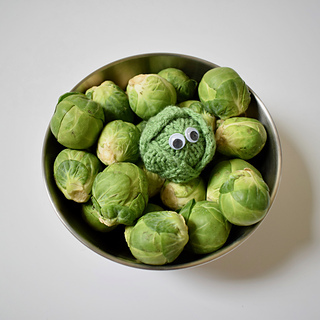 Christmas dinner just isn’t the same without Brussels sprouts. Love them or hate them, you can also knit them! 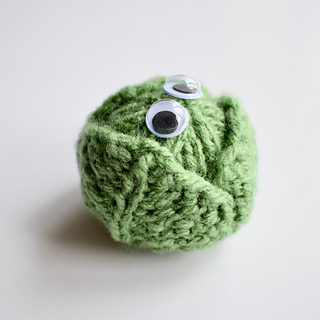 I am knitting mine to use as fun decorations for my dinner table. 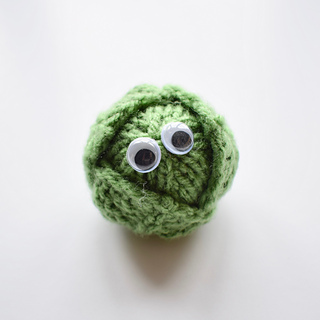 ABOUT THE PATTERN: The pattern has row numbers for each step so you don’t lose your place, instructions for making the sprout, photos, a list of abbreviations and explanation of some techniques, a materials list and recommended yarns. The pattern is 3 pages and written in English. TECHNIQUES: All pieces are knitted flat on straight knitting needles. You will need to cast on and off, knit, purl, work increases and decreases, and sew seams. 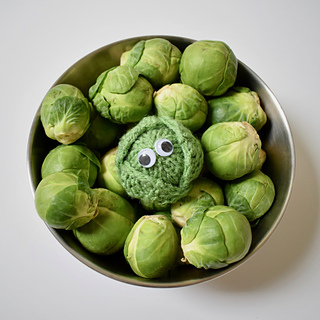 I have no objection if you wish to make sprouts to sell to raise funds for charity. However please do not reproduce or sell this pattern.